Starting with my pick of the week, a film which came dangerously close to getting an almost unprecedented mark of 10/10, Argo. Set during the Iranian hostage crisis of the late 1970s, the film tells the story of an audacious attempt by the CIA to free six escaped US embassy workers who have been hiding out in the Canadian ambassador's house in Tehran. 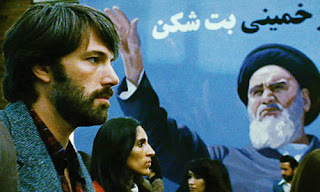 Affleck (who also directs the picture) stars as CIA operative Tony Mendez, who devises a plan to free his countrymen by having them pose as a Canadian film crew, scouting for Middle Eastern locations for a science fiction movie called 'Argo'. Just about everything to do with the film works wonderfully well - it's excellently scripted (with some very funny Hollywood in-jokes), there's a very strong cast (including the likes of Alan Arkin, John Goodman and Bryan Cranston) and Affleck's direction is assured throughout. For me, the most impressive scene in the entire picture is the recreation of the storming of the US embassy, which is incredibly tense and immersive, putting you in the shoes of the panicked Embassy employees as the swarm of protestors gets ever closer to penetrating the inner walls of the building. With this film, Affleck proves that his earlier success with Gone Baby Gone and The Town was no fluke - and in fact, even though I liked both of those films, I reckon Argo is a big step forward for him as a director. I know it's still early days, but I'd be surprised if Argo isn't a major contender at the 2013 Oscars. As I've mentioned above, I opted to give the film a mark of '9' out of 10, but if I enjoy it just as much on second viewing, I might be prepared to bump it up to a 10. 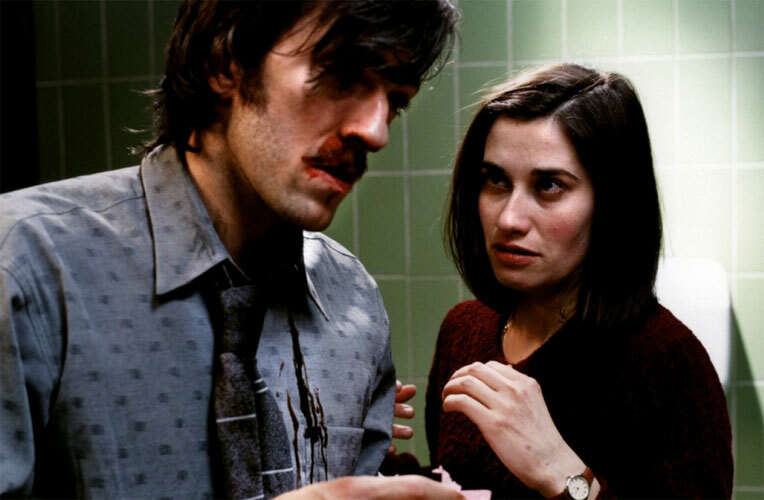 Also very good was Read My Lips, a film which I saw at the cinema as part of the Watershed's recent programme of Jacques Audiard films. The film has a rather unusual premise - it concerns the relationship between Carla, a deaf woman who works as a downtrodden secretary for an estate agency firm and Paul, the young ex-convict who she hires to be her assistant. As office outcasts, the pair grow close to one another, and ultimately hatch a plot to rob a former criminal associate of Paul's. 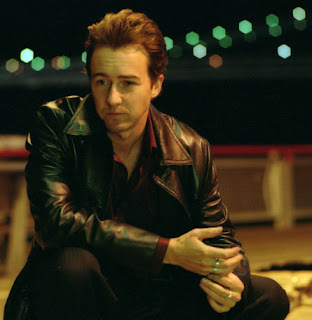 The director (also responsible for the brilliant The Beat That My Heart Skipped and A Prophet) works his magic again, delivering a movie which is both a compelling and gritty crime drama and an unconventional romance. Both of the lead actors (Vincent Cassel and Emanuelle Devos) deliver impressive performances, creating well defined, believable and nuanced characters. My only minor criticism with the film would be that the pacing isn't perfect - there is a bit of a lull in excitement around the halfway point in the film - but it isn't long before the movie picks up steam again, as it reaches a bloody, breathtaking conclusion. Mr Audiard's latest film, Rust and Bone, has recently come out so I'm looking forward to seeing whether it stands up to the rest of his consistently excellent back catalogue. Moving on, I'd like to give a quick, Roger Ebert style 'thumbs up' to two movies which I saw on DVD this week. Firstly, the excellent documentary Inside Job, which provides some fascinating insights into the causes of the recent banking crisis. What's even more impressive is that it does so in a way which makes all the financial shenanigans easily comprehensible, even to a simpleton like me. 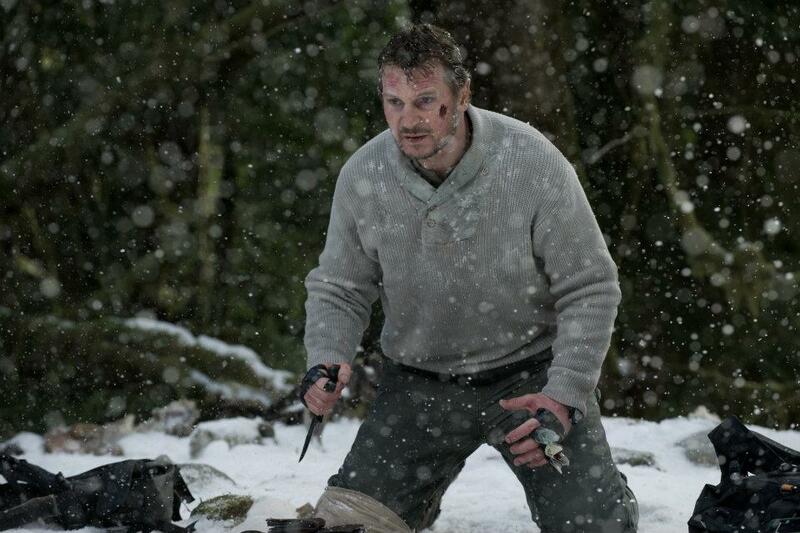 Secondly, I (somewhat unexpectedly) thoroughly enjoyed the Liam Neeson wilderness survival thriller, The Grey. The plot of the film follows the survivors of a plane crash in Alaska as they battle the elements and a pack of wolves in an effort to reach civilisation. 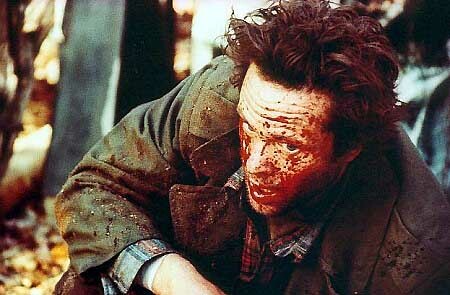 It's a film as bleak and coldly beautiful as the Alaskan landscape. Oh, and one final thing: I should also mention that I watched Eli Roth's tongue-in-cheek Deliverance style horror debut, Cabin Fever, this week. The film itself was just about OK, but it is notable for a couple of things: (a) the movie's excellent and highly creepy credits sequence, in which the backdrop to the names of the actors starts off as a white sheet and gets progressively more mouldy as the credits roll by (this is much more effective than it sounds); and (b) this scene, which I'm linking to without any comment or context, other than to say that it's probably one of the most bizarre sequences I've ever seen committed to celulloid. "Monty Brogan: [raising a toast] Champagne for my real friends, and real pain for my sham friends."